Today’s music producer faces the tough task of nailing accurate mix downs despite often being far away from a proper studio. One of my recent articles about how you can Produce Music On The Road With 5 Essential Tools included my favorite piece of software, Sonarworks, and a set of DJ headphones. However, there does exist a class of audiophile headphones that are known in the music community for their painstakingly intricate detail and sonic accuracy. Today, I’m going to talk about my new favorite piece of gear, even despite the $1,700 price tag: the Audeze LCD-X. I was inspired by a new documentary about the life and times of Tim Berg. Avicii: True Stories was not just a look at the tragic downfall of one of dance music’s biggest recent stars, but also a great way to gain insight into his creative process. 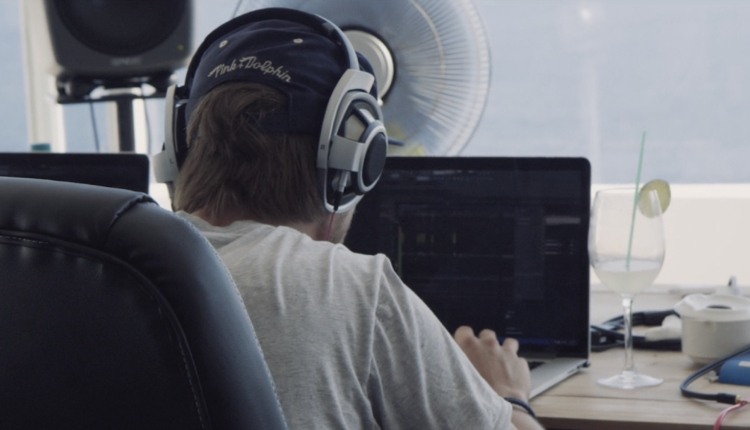 Throughout the film, Avicii can be seen setting up shop in whatever apartment, hotel, or rented home that he and his entourage had chosen for the week – and writing new music the whole time. Pictured: Avicii with the Sennheiser HD800’s in a makeshift studio. The film showed Tim grafting away on new tracks with the help of his trusty Sennheiser HD800’s, another comparable set of high-end cans for producers. Watching Avicii work on what would become chart-topping records in an audiophile set of cans lit a fire inside of me – it was time for an upgrade. As someone who’s always traveling, I knew I could be doing better in regards to my monitoring situation for my productions. 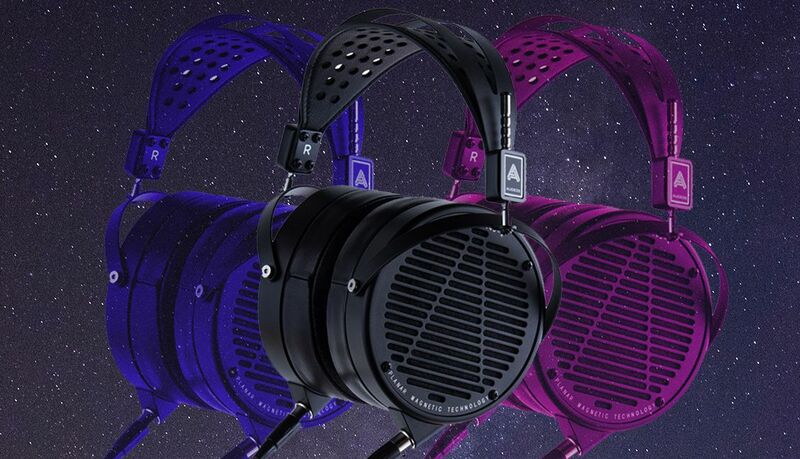 Why The Audeze LCD-X Headphones? There’s no denying that the Sennheiser HD-800’s are a great set of headphones. That said, the Audeze LCD-X came in highly recommended from Luca Pretolesi of Studio DMI. If you don’t know Luca, he’s the man behind mixing and mastering tracks like “Mi Gente”, “Turn Down For What,” and countless other hits. On top of that, my personal production hero D. Ramirez suggested I pick up a set. Writing some hits is one thing, but these two have had their hands on more chart topping productions than I can count. My mind was made up. I had to get a set. The first thing anybody will notice about the LCD-X is that they are just massive. They may weigh 1.39 pounds, but they still manage to be incredibly comfortable thanks to a fair amount of foam padding and lambskin leather covering the cushions. The headphones are entirely metal, coming with a detachable cable that hooks into the headphones via mini-XLR. The fact that the LCD-X uses balanced cables significantly reduces any chance of interference, a crucial item for any discerning audiophile to check off their list. Despite what Audeze claims about these being ultra-portable, I certainly won’t be taking these on any casual trips to the coffee shop to knock out a track. They’re gigantic, which isn’t bad – but it does make them harder to casually pack. What’s more, they’re open back headphones. Unless you want everyone around you hearing what you’re working on, you’d be better off finding a quiet corner to work in. These things are next level. Technically speaking, the LCD-X are what are known as planar magnetic headphones. In layman’s terms, this means that they are generally less likely to distort when compared with headphones that have what are known as dynamic drivers powering them. On top of that, planar magnetic headphones are known for delivering unprecedented accuracy without the need for a headphone amplifier, another big win for anybody on the road. The level of detail in this pair is just over the top, particularly in the midrange. When they arrived, I immediately pulled my Technics SL-1200 turntables out of storage and tuned into a few records that I have listened to for years, ones that I could have sworn I knew like the back of my hand. I immediately began noticing new sonic properties to some of my favorite records. Extra bits of ethnic percussion occupying the low midrange frequencies, imperfections in kick drums, and the sense that vocals are genuinely three-dimensional. I got distracted from the projects I was to work on that day and just sat in my studio listening to old records for 4 hours. Times like this remind me of why I love music so much. Even with some of the best sets of headphones on the market, it’s important to mention that using Sonarworks is still a must when producing in headphones. Even in the best headphones on the market, some correction is going to be necessary to get a perfect mixdown. 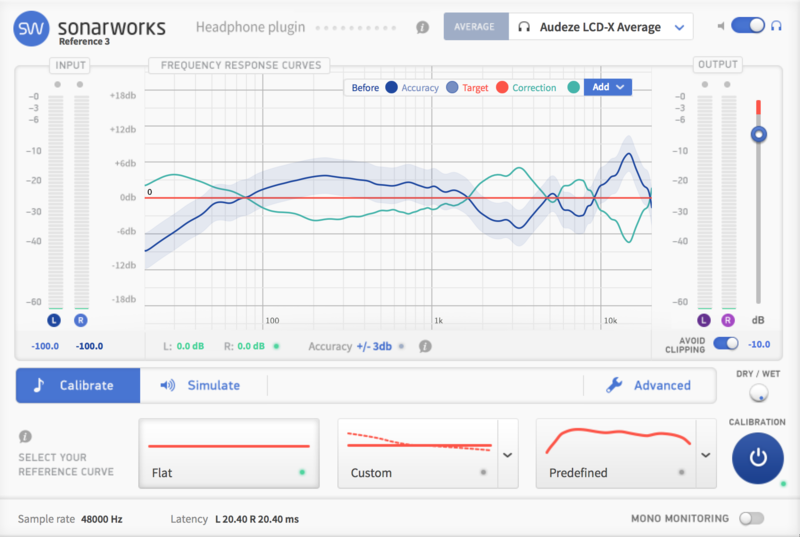 I’ve said it before, but I think Sonarworks is a really important tool for most modern music producers. While the software can be used to help create a flawless mixing environment in your studio, it is most commonly used to create a completely flat response in your headphones. While studio quality audio is possible even in the lower end sets of cans, nothing compares to a high-end set of studio headphones. What the LCD-X may lose on practicality and afforability it certainly makes up for in sonics quality. There’s a reason that the best producers in the world often have a pair of these next to a set of $6,000 monitors. Considering most producers don’t have access to such equipment most of the time, the LCD-X might be the next best thing. I’m not going to lie, the pricing is not great on these. Selling between $1,200-$1,700 new, you could easily buy a whole new computer for that price. Fortunately, there are some incredible deals if you go price hunting. I picked mine up for $900 on eBay. I’d suggest looking here if you want to find the best deal possible on these. It wasn’t easy to part with almost a grand for something I thought I already had covered. But a quick comparison between my trusty Sennheiser HD-25’s and my new Audeze LCD-X reminds me that I made the right choice, and makes me wonder how I ever used anything else. 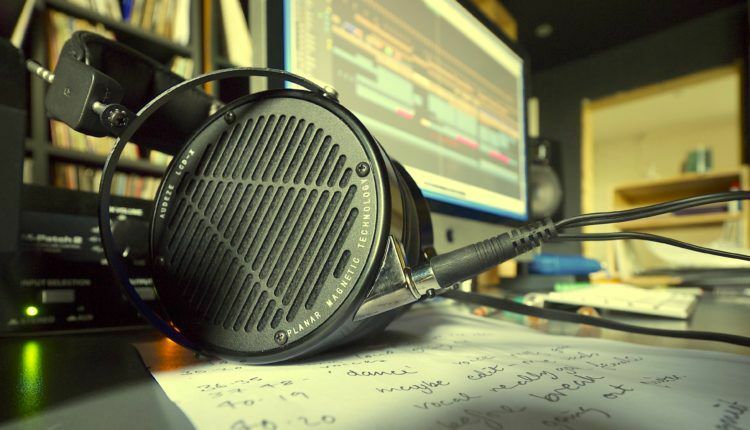 Have you ever used the Audeze LCD-X or any other high-end pair of studio headphones?